While we encourage that we all be happy and content with the beauty that was bestowed upon each of us, there definitely isn’t anything wrong with wanting to have a fairer and brighter skin. As the saying goes: to each his own. 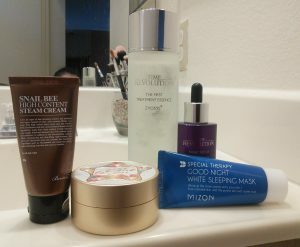 So for ladies who are looking for the best way to brighten their complexion, we listed down some of the best beauty shop finds that’ll do the trick. Hate applying thick, sticky creams on your face? 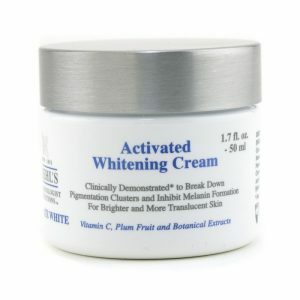 Then we’ve got the right whitening product for you. 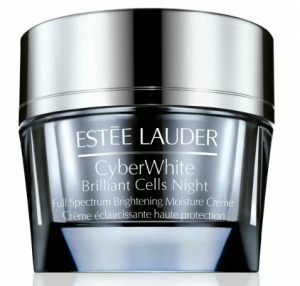 Estée Lauder’s CyberWhite Brilliant Cells Cream is a lightweight milky lotion perfect for ladies with very dry skin. It has a rich formula that deeply penetrates into the skin, enabling it to hydrate and brighten dark areas from within. Touted as one of the whitening cream favourites, Kiehl’s whitening moisturizer is an all-in product that takes care of more than just one skin issue. 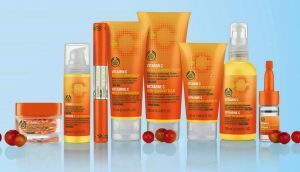 It’s loaded with light-reflecting minerals that lessen the appearance of wrinkles, fine lines and dark spots, while brightening your overall complexion. This day moisturizer also has a non-sticky formula that leaves you with a matte finish, making it work great as a double for your makeup primer. 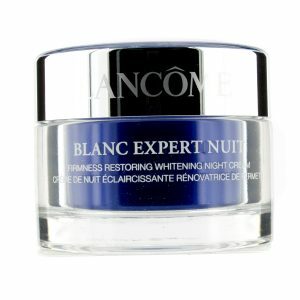 The good thing about night-time restoration is it allows our skin to heal itself as we sleep, which means applying a multitasking cream that whitens the skin as it speeds up its restoration process. Lancôme’s night cream won’t only help in lightening your skin, it’ll also boost your body’s collagen production, allowing you to wake up to fairer, firmer and softer skin. Wash away all the day’s dirt and impurities using Olay’s gentle foaming cleanser, which doesn’t just promise clean skin, but also brighter and fairer complexion in just a few weeks’ time. 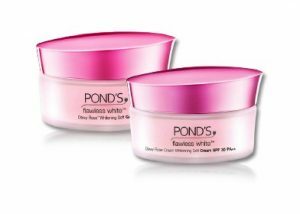 If you’re looking for an affordable cream that promises to deliver amazing results, then Pond’s Dewy Rose Whitening Soft Gel is for you. Although it’s inexpensive, this lightweight gel actually manages to whiten your skin in just two weeks. Knowing what whitening products to keep in your beauty stash will certainly help achieve your dream of having fairer and brighter skin. 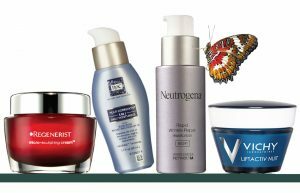 So make sure that you give any of these products a shot the next time your current whitening cream runs out. 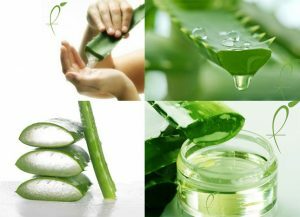 Aloe vera is widely used as a natural treatment for skin conditions like minor abrasion, burns and cuts. Its leaves are cut and the gel is applied on the affected areas to facilitate healing. Acne, a skin condition characterized by irritation, itching, inflammation, and pain, occurs when the follicles become clogged with dirt and oil. If completely blocked by bacteria, acne can become a painful and unsightly problem. Fortunately, aloe vera – along with a good skincare regimen – can help you get rid of your acne problems. 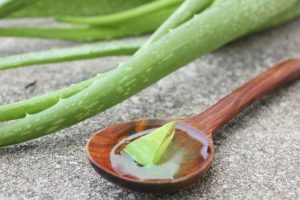 Aloe vera treats acne by acting as a natural astringent that removes dirt, excess oil, and dead skin cells, which clogs the pores and causes bacterial infection. Other than that, the miracle plant also aids in reducing inflammation, pain and redness associated with acne. Lastly, aloe vera gel Singapore improves appearances of scars due to its influential antioxidants, vitamins C and E, and zinc. 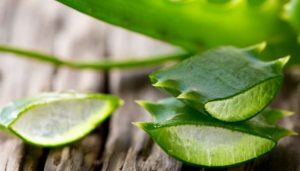 As much as possible, use fresh aloe gel extracted from the leaf as it contains the effective and essential healing properties needed to treat an injured skin. It helps to drink aloe vera gel for health in Singapore as it is good for clearing up acne as well. So purchase an aloe vera plant from your local market to treat acne on your face, chest, back and scalp. It’s inexpensive and doesn’t require a lot of work to use. 1. Thoroughly wash the affected areas of your facial skin twice a day with an antibacterial soap. While washing, scrub the soap on your skin in a circular motion then rinse with warm water, and dry it with a towel. Also, avoid reusing the towel as it may spread the bacteria causing additional acne. 2. After washing your face, cut an outer leaf of your aloe Vera plant using scissors, pruning shears, or a sharp knife. However, don’t pull the leaf when cutting as it may damage the plant. Instead, firmly hold the end of the leaf when cutting it off. 3. Gently squeeze out the gel from the leaf, and dab a thin layer of it on the affected area. After that, let the gel dry before putting some clothes on. For additional protection from acne-causing bacteria, apply some antibacterial cream over the gel and let it dry. Singapore dermatologists explain that aloe contains substances that stimulate skin cell growth, which aids in speeding up healing and reducing chances of acne scarring. 4. Apply the gel to the affected areas after washing and before going to bed. Use the gel at night to give it enough time to work on healing acne inflammation. If you don’t have an aloe plant at home, just purchase an aloe vera gel available at your local pharmacy. Pure aloe gel has similar soothing and healing properties as the plant, and is a more convenient way of keeping aloe in your home. 5. Use the aloe vera gel Singapore on a regular basis even if your acne has completely healed. Apart from its healing properties, aloe also contains properties that help in decreasing skin aging and is considered as an effective moisturizer. Using it on a regular basis protects the skin from bacteria build-up and environmental effects that may cause acne breakouts. •	Choose and cut a thick aloe leaf from the plant, and wash it under running water. After that, squeeze out as much juice as possible into a clean bowl, and scrape out the aloe gel with a spoon. •	Once you’re done, simply mix the gel with two to three drops of lemon juice. •	Apply and gently massage the mixture on your face and neck, then leave it on for 15-20 minutes before rinsing with warm water. •	After that, pat dry your skin with a clean towel and apply moisturizer as usual. Continue performing this regimen thrice a week to even out your skin tone and prevent acne breakouts. If you don’t have lemons at home, grapefruit and lime works as good alternative. •	Add a tablespoon of aloe gel and honey in a clean bowl, then stir the ingredients using a spoon until it’s well-combined. •	Once you’re done, apply and leave the mask on your face or any other areas for 20 minutes. •	Wash your face or body with warm water, and pat your skin dry with a clean towel. You can apply your moisturizer if desired. This face mask is great for brightening, moisturizing, soothing and fighting acne with the additional benefits of milk and sugar. Sugar is rich in glycolic acid, which promotes cell turnover. It’s also a humectant, so it helps in drawing in moisture. Milk, on the other hand, enhances the complexion with its brightening, moisturizing, soothing and toning properties. •	Mix a tablespoon of sugar and ½ tablespoon of milk until the former is completely dissolved. After that, add two tablespoons of your store-brought or freshly prepared aloe vera gel. •	Apply and leave the mask on for 20 minutes before rinsing it off with warm water. Once you’re done, pat dry with towel and apply your moisturizer, if desired. If you don’t feel like using pure aloe vera gel, then opt for over-the-counter treatment alternatives for your acne problem. Most Singapore dermatologists recommend using over-the-counter products that contain benzoyl peroxide for treating pimples. Apart from having a good skincare routine, using aloe vera gel is another natural way of getting rid of your acne problems. Just make sure to consult your physician about using pure aloe gel beforehand to get the most out of this miracle gel.